Our walk this Sunday 21st of August starts in the top car park at Kilbroney. Heading through the woods up to the mast, then over to Knockshee taking in beautiful views of Carlingford Lough and Greencastle for lunch. Heading back towards the mast and then to Cloughmore stone. This is planned as a one group walk but can be extended around the Coast line for B’s or for the whole group if they are feeling up to it! Heavy rain is due today and tomorrow meaning it will be wet underfoot but the forecast is suggesting that it will dry up for Sunday and it will be the best day of the weekend!! Everyone should meet at the Gap O’ the North Pub, Jonesborough at 10 am for registration and car pooling. Walkers must have walking boots, a waterproof jacket and a packed lunch as a minimum requirement, no jeans please they get wet and stay wet leading to cold and unhappy walkers. New walkers are always welcome, our walks are generally around 4 hours, on rough terrain so a moderate level of fitness is required to walk with even our lowest level group our C’s. 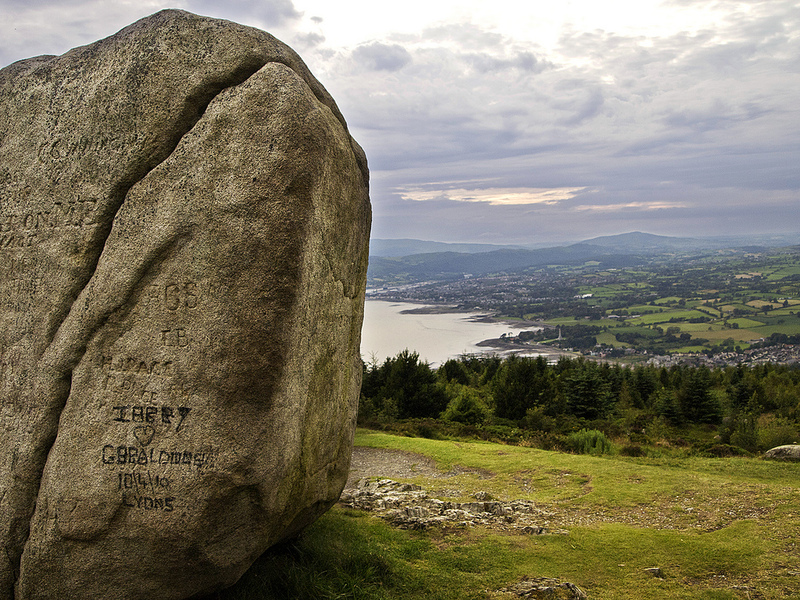 As a rough guide we suggest… if you can walk from the bottom carpark at Slieve Gullion Courtyard and to the cairn at the summit and back following the tourist path in around 3 hours, you should be fit enough to walk with our C Group.